In the year of general elections in a democratic set-up, the issues and insights are of tremendous significance – not because they help to draw the battle lines between political parties but more so in shaping up the minds of the voters. Sometimes, insignificant issues are given prominence to distract the electorates from the real issues and many times relevant issues gather momentum during the run-up-to elections. For the upcoming general elections, the issue of agricultural distress has acquired national attention and different political parties are expected to play their card to reap the maximum advantage. The political parties gaining a better understanding of farmers’ deteriorating condition is an indicator of healthy democracy but offering populist solution like debt waiver is not a remedy for the chronic problems of agriculture sector. The spree of farm debt waiver was started in down south when in 2014 Andhra Pradesh announced a farm debt relief of 24,000 cr and Telengana of 17,000 cr with an eye on electoral gains. Tamil Nadu followed the footsteps of its neighbouring states with 6,092 cr farm bailout in 2016. Under the same political compulsions, in 2017, Maharashtra waived off 34,000 cr of farm loans and Uttar Pradesh 34,000 cr. The state of Punjab, also announced a 10,000 cr relief for debt-ridden farmers in the same year. Agriculture sector is the edifice of our economy. Though, over the years its contribution in gross domestic product of our country has declined, yet it absorbs the largest proportion of working population of our country. 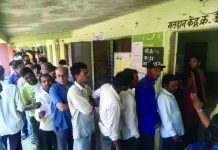 The defeat of Bharatiya Janata Party (BJP) in the recently held Assembly elections of Rajasthan, Madhya Pradesh and Chhattisgarh is a big indication of growing unrest among the farmers and farm labourers and particularly among the farmers with small landholdings who are unable to get benefits of the schemes announced with much fanfare. The national spokesperson of Bhartiya Kisan Union, Rakesh Tikait told Tehelka that the policy makers must understand the pain and sufferings of the cultivators. He told that the farmers were waiting for the outcome of the committees constituted by the government for the demands raised during the protest by them in October 2018. The three major demands on which the decisions of the committees is expected are — crop Insurance, stray animals and Kisan Credit Card. They want the insurance to be optional and it should not be compulsory for the farmer. The farmers, in many cases do not even know that their crop is insured and the premium is deducted from their loan account without informing them. “We want this clause to be incorporated in the Fasal Bima Yojna that only those farmers who wish to get the crop insurance should be insured. The insurance companies are privately owned, work solely for profit and have different business model. We must be apprised of the details of insurance cover and if acceptable to a farmer then only his crop should be covered under the insurance scheme”, said Tikait. The issue of stray animals should also be tackled seriously as farmers at many places have lost crops, he added. The third demand on KCC is that the compulsion of repayment of the entire principal amount after the completion of one year for a short time to become eligible again for Kisan Credit Card should be revisited. Tikait told that except for large farmers, most of the farmers do not have the cash to repay the entire amount. “If we were cash rich and had the ability to repay, we would not have borrowed again and again”. According to Tikait, farmers’ voice would be heard loud during this election. If the ruling party is able to sense agonizingly growing distress of farmers and comes up with desirable solutions it may gain. The problems of agriculture are multi-dimensional and cannot be solved in one stroke, he added. The national convenor of Jai Kisan Andolan of Swaraj Abhiyan said that the rebuke of Bhartiya Janata Party in the recent assembly elections in three states with a large farming base must have taught a lesson to all political parties. 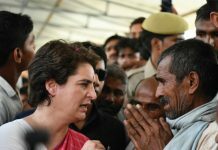 He said that in the aftermath of these elections, BJP is trying to push the agenda of farm distress on back foot but Jai Kisan Andolan will make efforts to keep it on the centre-stage. “February onwards, we would kickstart localised agitation so that the farming community remains united and updated to fight for their rights”. He said that there was a need to revise the methodology of calculating the wholesale price index, a major indicator of inflation in our country. Until the weight age to the food items is not reduced, the remunerative price of farmers’ produce cannot be achieved. A slight increase in prices of food items reflects a spike in WPI resulting in negative sentiments. This needs to be corrected to benefit the farmers. The farmers in different parts of India when contacted by Tehelka to understand the causes of high debt, converged on the growing cost of medical and education and inadequate quality medical and education facilities in hinterland. In order to meet unproductive needs, they have to take loan from non-institutional sources. Sometimes they take loans from arhtiya/commission agents to timely repay the institutional loan so that they remain eligible for subsidized loan from institutional sources and fall in debt-trap. The estimates reveal that about 70 per cent of healthcare services are located in top 20 cities of the countries and provided by the private players. 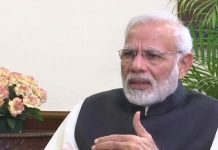 Though, Modi led NDA-II Government announced the ambitious ‘Ayushman Bharat’ Scheme to cover the marginal sections of the society and debt-ridden farmers farmers explicitly can be covered and benefitted under such scheme-but the question is if it would actually help the poor peasant to cut down their health expenditure? The Government of India has allocated 2,000 cr for this scheme. According to senior officials, an annual outlay of 10,000 cr is needed for proper implementation of this scheme. Another pre-requisite for this scheme is annual revision of health budget by 20 per cent with a corresponding annual increase of 6 -8 per cent of Gross Domestic Product. The annual health spending in India is approximately 1.6 per cent of the Gross Domestic Product and the current government had proposed to revise it to 2.5 per cent of GDP by 2025. Despite many schemes like mid-day meal and free education under Sarv Shiksha Abhiyan, the enrolment rate in Government run schools is low due to poor quality of education and inadequate infrastructure. The growing aspirations of communities in rural areas have coerced to spend on private education under the influence of changing lifestyles. This also has contributed to high expenditure amidst stagnant income. But debt-waiver is not a not a solution for this. Besides unproductive expenditure like health, education and social ceremonies, irrigation also entails expenditure for farmers. In rain fed areas scanty rain results in low yield and low income in irrigated areas scanty rain results in high cost of running submersible pumps and fall in net income. As per the official estimates, 52 per cent of farm field is still un-irrigated. The Government of India’s own document — Economic Survey, 2017-18 — states that the all India percentage of net irrigated area to total cropped area is merely 34.5 per cent. The projected increase in average temperature, decline in average rainfall and increase in number of dry days- as predicted by the climate change specialists may take a heavy toll on farmers’ incomes. According to the statistics available on climate change, annual rainfall in the last forty years has registered a decline of about 80 millimetres. The average kharif rainfall during this period has declined by 26 millimetres and average rabi rainfall by 33 millimetres. The average increase in temperature during this period is recorded at about 0.45 degrees during kharif and a little higher at 0.63 degrees for rabi season. Even the Economic Survey 2017-18 stressed to take a radical follow-up action to pull out the farmers from distress and meet the objective of doubling of farmers’ income. How can a debt waiver be helpful in such a situation? The National Commission on Farmers under the Chairmanship of Dr. MS Swaminathan, constituted by the UPA I, submitted four reports in December 2004, August 2005, December 2005 and April 2006. The fifth and final report was submitted on October 4, 2006. This report contained that agrarian distress has led the farmers to commit suicides in recent years and said that adequacy and timeliness of institutional credit is among the major causes of agrarian crisis. According to third report, farmers need to have an assured access and control over basic credit and insurance needs. This report also said that whatever policies were decided in favour of farmers, these always remained on the paper and never reached the farmer. 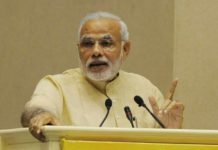 The findings of the NSSO (National Sample Survey Orgnisation) 2003 reveal that 40 percent of the farmers in India want to leave agriculture and average monthly income per agriculture household from various sources was 6,426 and the average monthly consumption expenditure per agriculture household was 6,233. There has also been a decline in the rate of growth of agriculture advances to small and marginal farmers as compared to the other farm size categories. 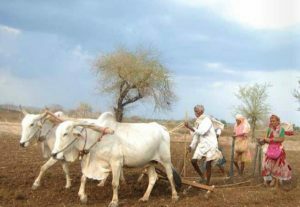 It has been observed that despite a strong network of rural branches and an ostensibly strong emphasis on target lending under various government schemes, a large number needy farmers remain excluded from the ambit of formal banking system. Can loan waiver help those farmers? The political parties need to introspect on the real issues affecting the agriculture sector. The growing resentment among farmers needs to be addressed with long-term solutions, mere lip-service will not help. Previous articleHow safe are EVMs? Are your votes correctly processed by the machines?